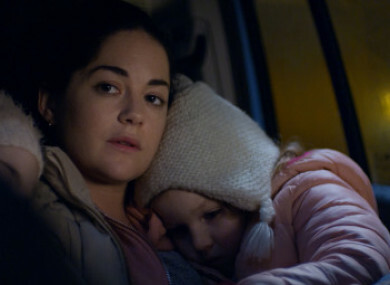 IRISH FILMS ROSIE, Michael Inside and Black 47 have come out on top in this year’s Dublin Film Critics Circle awards. This is the 12th year that the Dublin Film Critics Circle has given the nod to its favourite films of the year, and this year TheJournal.ie was included for the first time among the judges. As proof of what a great year for film it’s been, the group longlisted some 45 films for Best Film. American Animals, First Reformed, Widows, Zama, and Sorry to Bother You were hugely popular but were pipped at the post. Of the international films, A Star is Born was a clear favourite. While Roma missed out on the top 10, its director Alfonso Cuarón was named Best Director. Second-placed Cold War also polled strongly in the Best Film category. 2018′s biggest landslide victory was Linus Sandgren for his cinematography on the Damien Chazelle-directed First Man. Rosie was named Best Irish Feature Film, just inching past Michael Inside. The star of the latter movie, Dafhyd Flynn, was named Breakthrough Artist. Other nominees shortlisted for that award included Boots Riley (director of Sorry to Bother You), Cynthia Erivo (actor in Widows), Charlie Plummer (actor in Lean on Pete), and Millicent Simmons (actor in A Quiet Place). This year’s DFCC panel included: Aedín Gormley, Áine O’Connor, Aoife Barry, Ben O’Reilly, Brian Lloyd, Brogen Hayes, Cara O’Doherty, Chris Wasser, Ciaran Carty, Daniel Anderson, Darren Mooney, David Turpin, Declan Burke, Deirdre Molumby, Donald Clarke, Esther McCarthy, Gavin Burke, Graham Day, Hilary White, Jason Coyle, Joe Griffin, John Maguire, Kevin Fennell. This year, the DFCC acknowledged the recent death of film critic, author and artist Stephen Coffey, a member of the circle. Email “Here are Irish film critics' top movies of the year”. Feedback on “Here are Irish film critics' top movies of the year”.